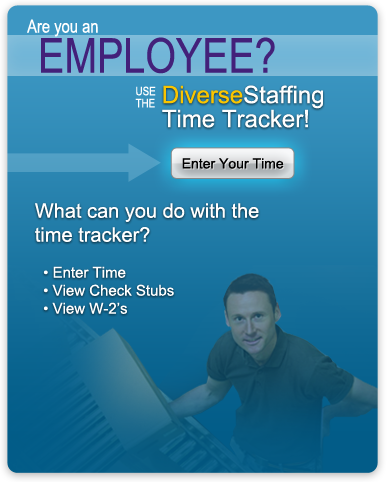 Diverse Tech Staffing provides solutions to a wide variety of industries. Rather than limit our abilities, we make conscious efforts to help companies covering a wide spectrum of employment categories. From manufacturing to information technology, we have a proven record and method for targeting, engaging, and qualifying top talent. We are continuously working to improve our methods and our relationships with clients to ensure we provide superior services and staffing solutions for any position. We work with companies in various types of industries to ensure their staffing needs are met. By defining your company’s needs we can provide you with better service and top candidate choices to ensure your plans and processes are more successful and effective. When we place the right people in your company, Diverse Tech Staffing helps you successfully carry out your plans and effectively manage your processes. 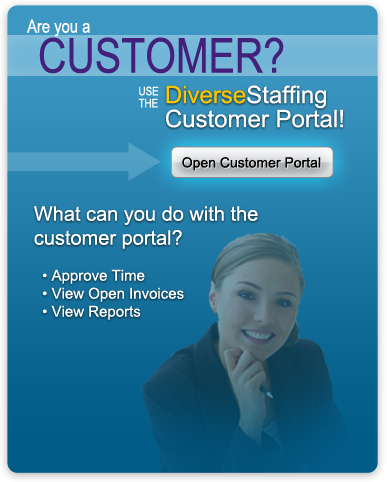 We work with you to find the best solutions to your staffing needs.